SNK has released the first character trailer for their upcoming Samurai Shodown release. Straight out of the gate we get to see one of the franchise' classic heroes, the petite Nakoruru, step back into the arena. Accompanied as always by her trusty hawk, Mamahaha, Nakoruru is one of SNK's busiest fighting femmes, having shown up in multiple SamSho titles, as well as SNK Heroines and The King of Fighters series. In Japan, Nakoruru is used by SNK as the mascot of their social action programs, as she is always ready and willing to help out nature or The Kids. 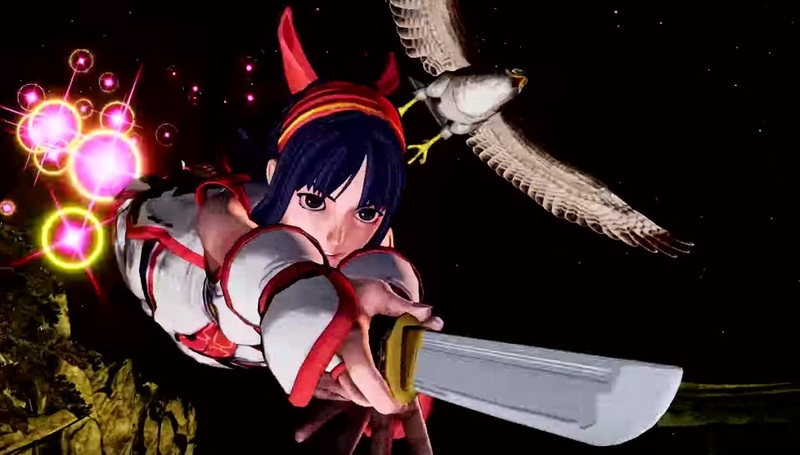 As you can see in the trailer below, Nakoruru retains her ability to keep folk at bay, thanks to Mamahaha's talons, but is also able to mix it up in hand-to-hand combat, equipped with her trusty short sword. Though she has always been depicted as a very young woman, I think in this iteration Nakoruru looks almost child-like. Samurai Shodown launches in Japan on June 27 for PS4 and Xbox One. PC and Nintendo Switch ports will follow this Winter. An arcade release is also in the works, scheduled for a Summer launch.